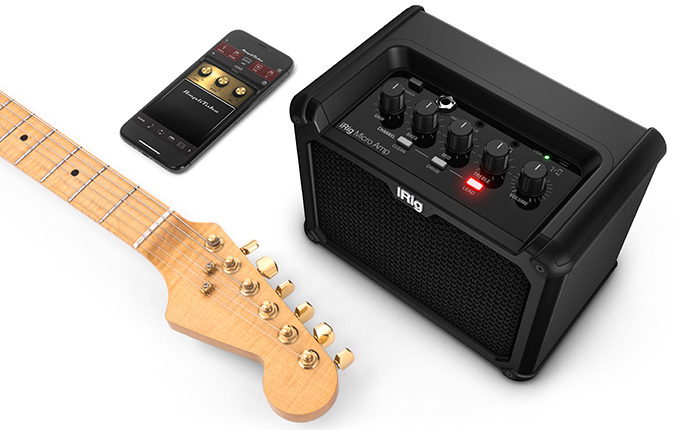 iRig Micro Amp (https://www.ikmultimedia.com/products/irigmicroamp/) - an ultra-compact, 15W battery-powered guitar amplifier with an integrated iOS/USB interface. Say hello to your new favorite music practice and travel companion. You can even pre-order now and get free shipping!